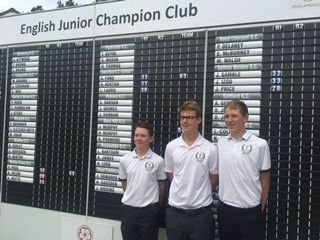 Our juniors, Harrison Kentish (captain), Alex Ford and Lucas Laurie performed really well, behaved impeccably despite some pressure and spectators and really enjoyed the experience of the 3 days. Overall Robin Hood finished in 21st place. Qualifying for next year's event for Warwickshire is being held at Robin Hood in September so hopefully we can win that and return to the final next year.